You may be surprised to learn coal is quite easy to manage and use, that's one of the benefits. There's two distinct types of units, stokers and hand fired stove. Stokers are the most convenient type because these are automatic. They are not much different than any conventional heating system, they are thermostatically controlled. Hand fired units are quite popular too and would be more like using a wood stove and requires manual adjustments. Each has their advantages and disadvantages. The stokers internally pretty much haven't changed in years, they are time tested designs that work. 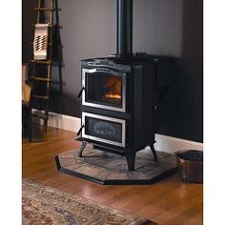 If you're familiar with a pellet stove these would be similar to them except in production for much longer. Some designs have been around for more than half a century. 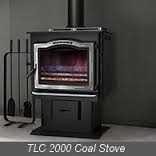 Keep your home at its ideal temperature at all times with a coal stove. 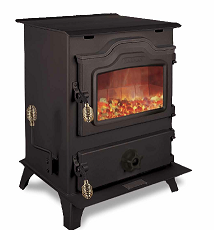 Our coal stoves make it possible to achieve and maintain the warmth you desire while enjoying a cost-effective home heating solution. Coal Stoker: The VertiFlow™ Stoker System burns each piece of coal thoroughly and completely—for amazing fire control, maximum heat and impressive burn times. Coal is fed from the bottom of the hopper and automatically controlled based on heating demands. This allows each piece of fuel to remain in intense heat throughout the burn cycle, resulting in less ash and greater heating efficiency.